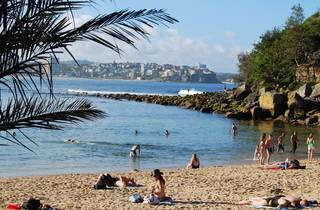 Shelly Beach feels like a secluded island in comparison to the huge stretch of sand that is Manly Beach. Here, the waves are calmer, the sunbakers are quieter and the mood is more chilled. 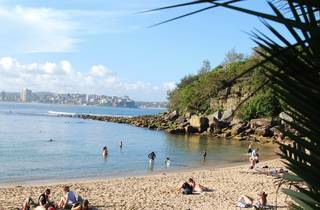 Getting here is a short cycle or walk around Cabbage Tree Bay and along the walk many people stop and take a seat on the rocks or take a dip in the aqua-coloured Fairy Bower Pool. It’s a nature reserve, so the whole area is protected – you’ll likely spot equally protected water dragons along the walk, basking in the sun. 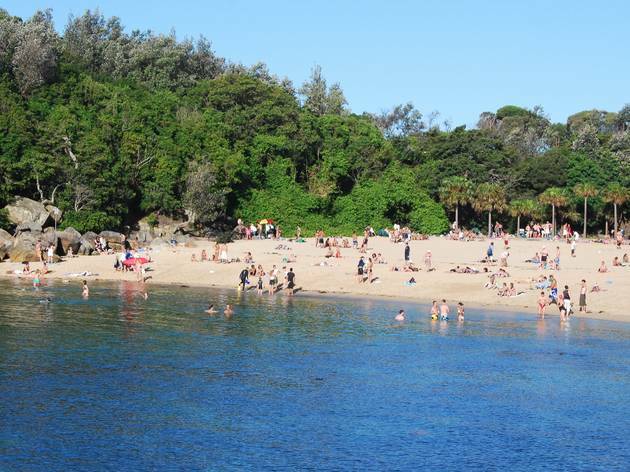 Shelly Beach is a popular place to snorkel or learn to dive. 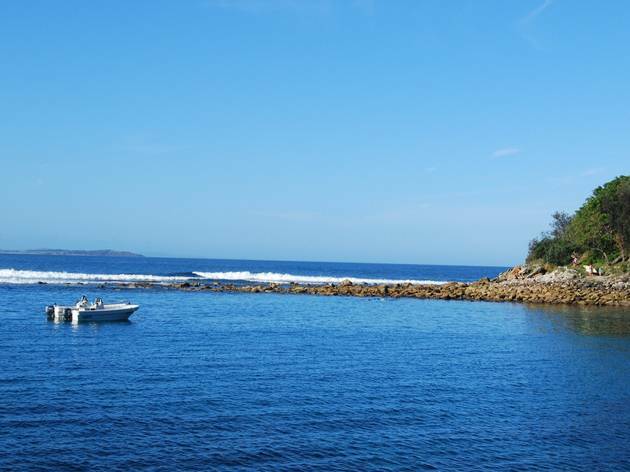 Take a dip and have a look out for the famous Blue Gropers in this area. On dry land, you might encounter a brush turkey plodding along the sand. If you need shade for your beach trip it’s best to bring an umbrella, or at the very least a wide-brimmed hat. There’s not a lot of cover from the palm trees that line the edge of the beach. 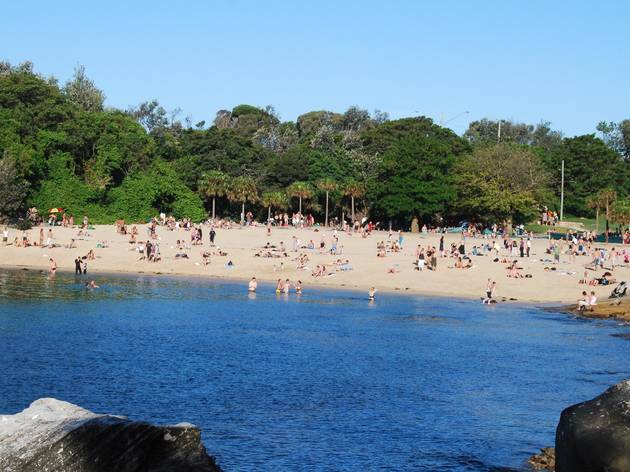 There are plenty of benches, a few picnic tables, showers and water fountains though, which are all helpful to note when you’re planning your first trip to this beach. 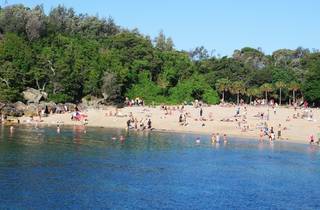 There’s only one beach kiosk at Shelly Beach, and it’s a pretty fancy one. 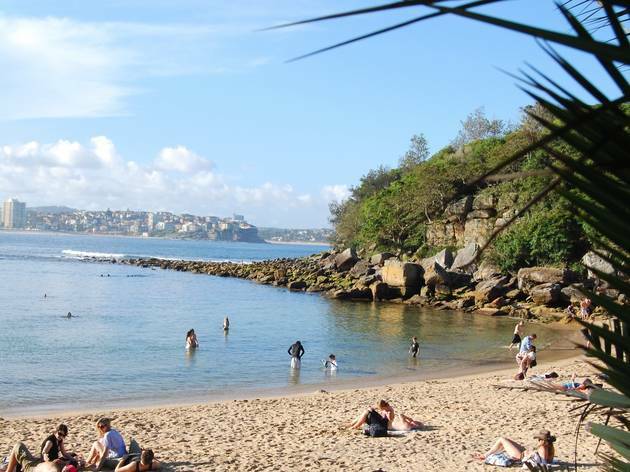 The Boathouse Shelly Beach is a triple threat: kiosk, café and restaurant in one. The Boathouse duo Pip and Andrew Goldsmith added this spot to their existing trio of eateries in Palm Beach, Balmoral and Whale Beach. The venue is open all day for breakfast, lunch and dinner, and the kiosk is where you’ll find takeaway coffees, bacon and egg rolls and other snackable treats. 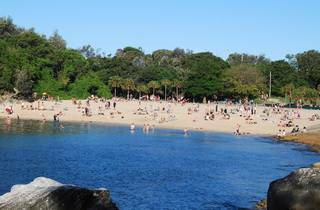 If you want to keep the legs moving, you can walk to North Head from Shelly Beach. 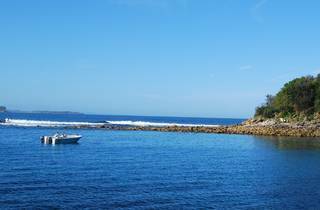 From here you’ll walk into Sydney Harbour National Park. It’s a steep climb but you’ll be rewarded with panoramic harbour and city views. Want more? 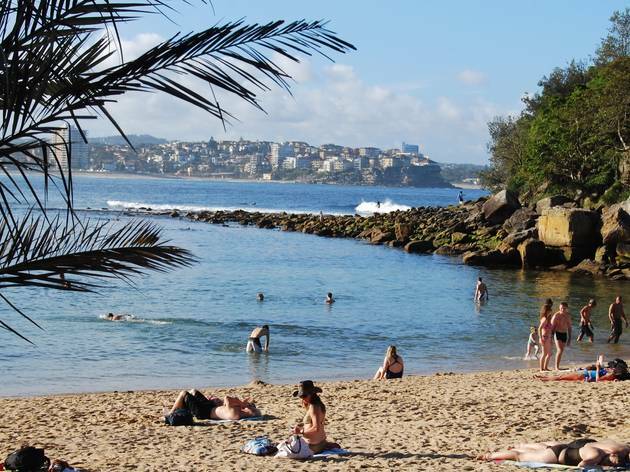 Check out our guide to Sydney's best harbour beaches.